and lets you focus on placing more implants. Built for implant specialists, LOOP lets you manage ALL aspects of your practice with our digital treatment algorithms. A quick glance of the patient profile reminds you of your patient’s progress through the treatment process. The patient profile also acts as your digital file cabinet by organizing your patient encounters, x-rays, and letters. 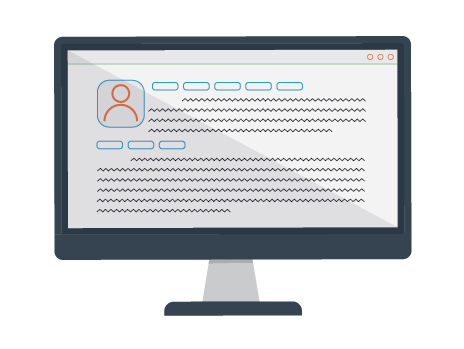 LOOP automates your referral letters with our powerful letter generator. The built in word processor lets you customize the content and design. Simply edit & approve your letters and send them off with the click of a button. LOOP’s referral management builds right into your workflow, never letting a patient slip through the cracks. With live updates, your referrals receive instant confirmation when their patient is accepted. LOOP’s built-in instant chat feature lets you securely communicate with your referral’s office in real time, keeping your phone lines clear. With banking-grade encryption, LOOP provides you with a platform to communicate safe and securely. All system activity is tracked, documented, and auditable.